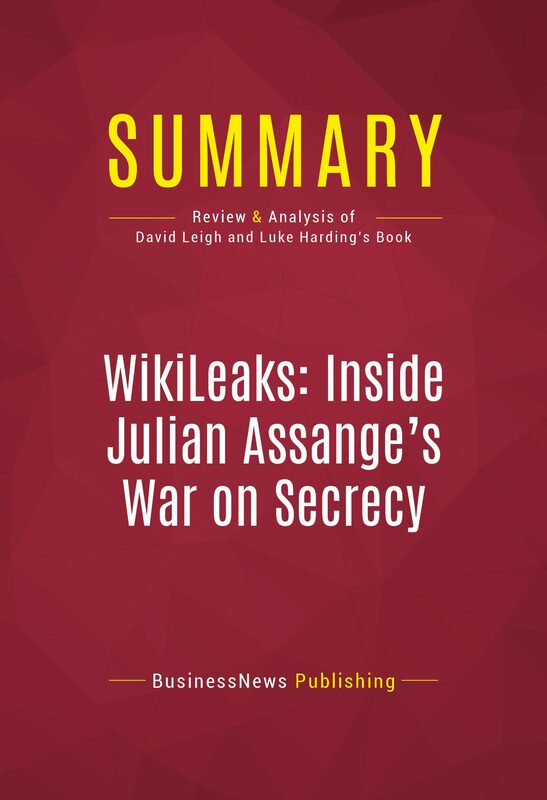 This ebook consists of a summary of the ideas, viewpoints and facts presented by David Leigh and Luke Harding in their book "Wikileaks, Inside Julian Assange's War on Secrecy”. This summary offers a concise overview of the entire book in less than 30 minutes reading time. However this work does not replace in any case David Leigh's and Luke Harding's book.Leigh and Harding argue that Wikileaks is a story that is far from over as digital disclosure and confidential information is a reality of the world we live in. .